Keith Flint was an era-defining front man, synonymous with the bold, hedonistic club culture of the ’90s. From his electrifying stage presence to his furiously vivid appearance, Keith exuded the sort of life force which made you long for the Saturday night release of the dance floor. And yet there was also a gentler, quieter side to Keith, who was also a beloved member of his local community. Among neighbours, he was reportedly known for his kindness, his fondness for animals and his willingness to lend a helping hand to the elderly. A source from his Essex neighbourhood told The Sun how Keith had spent his final days celebrating his dog’s birthday at a Chelmsford pub, and assisting elderly neighbours with their gardening. About three days before he passed away, I ran into Keith at the Galvin Green Man pub. He was there with one of his dogs, a mixed breed one, and he bought the dog a whole steak, saying it was the dog’s birthday and it was a treat. He was a huge dog lover – I think he had about seven or eight dogs – and you’d always see him in the local village walking them. He was so kind as well – he’d often offer to cut elderly neighbours’ hedges or help out with their garden. Mere days before his death, Keith ran the 5k Chelmsford Central Park Run, completing it in an impressive personal best time of 21 minutes, 22 seconds. Apparently #KeithFlint owned a pub. And in winter, when he started putting logs in the fireplace ready to light the fire, he would also produce a swearbox in case anyone made the obvious joke. 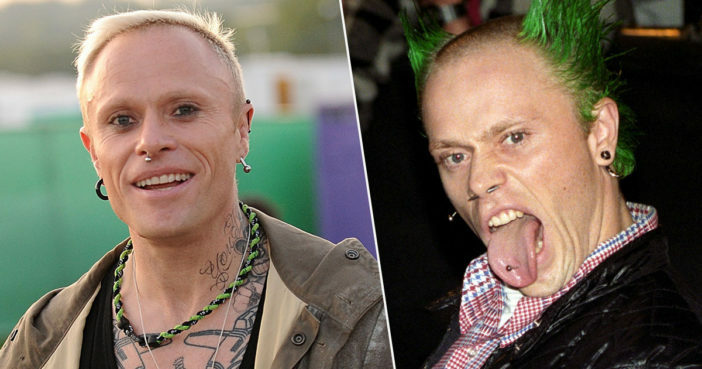 Keith Flint was found dead at his Essex home at the age of 49 on March 4. His band mates later confirmed he had died by suicide.